« Happy Thanksgiving from KenoWi.com! 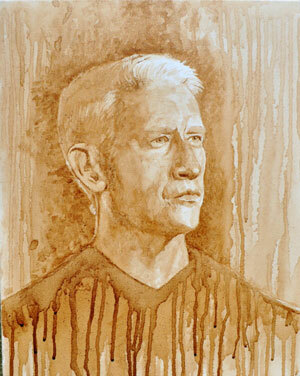 Katie Dylewski’s portrait of journalist Anderson Cooper. Kenosha artist Katie Dylewski was watching Anderson Cooper’s daytime show, “Anderson Live” this summer when inspiration hit. Having previously been a writer and reporter for WLIP, Dylewski says that she has a lot of respect for Cooper and his reporting, so after seeing the show, she decided to paint a portrait of him. 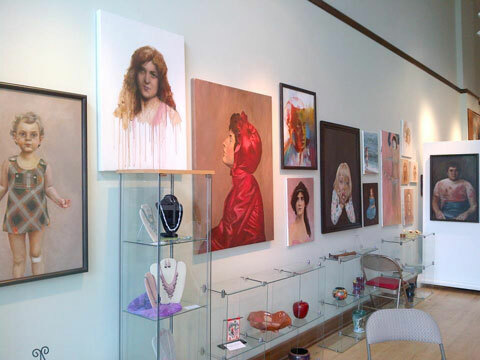 Dylewski had created a whole series of coffee-painted work before she completed the amazingly detailed Cooper portrait, and that series became a part of the artist’s show at the Pollard Gallery in downtown Kenosha in September. Just this week, Dylewski got a phone call from a producer at “Anderson Live”, asking if she could ship the Cooper painting to them, and if she’d be available to talk with him on the show live via Skype. Dylewski says that it was a mystery to her how the producers had even found out about the painting at first, until she was told that a local resident had sent a photo of a Kenosha News article about Dylewski’s art show, featuring the painting, to the “Anderson Live” show through Twitter. It had taken only an hour after the “tweet” for the producers to call Dylewski. They interviewed her briefly over the phone and offered to pay for expedited shipping to get the painting to them overnight. Producers asked if they could hold on to the painting for a little while, explaining that they were waiting for a topic where it could segue in. Dylewski has been eagerly awaiting updates from the show’s producers since, hoping that they’ll find time to feature the painting soon. “Every morning at 11 a.m., my eyes are glued to his show. Every time he reaches for something, I sit up. I’m hoping something newsworthy happens in the world of coffee in the next few weeks”, she joked. My daughter, Katie, and I met Katie Dylewski at the KAA event which was held at the Southport Beach House last week. She and my daughter had a lot to talk about. Katie D. went to Parkside, and my daughter, Katie, is currently going to Parkside. Both are into art. 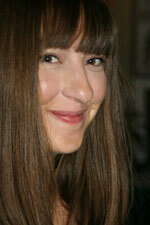 We have seen her work on display at the Pollard Gallery. Katie D. was a very nice girl who is very talented. I’m glad to see that we have published an article about her on KenoWi.com.